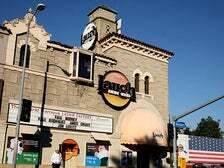 Los Angeles has a long and rich history in the LGBTQ+ community, from one of the country's earliest Pride demonstrations at the Black Cat bar in Silver Lake in 1967, to the world’s first permitted parade advocating for gay rights that was organized in 1970 by Christopher Street West (CSW), an active voice for the LGBTQ+ community across Greater Los Angeles. 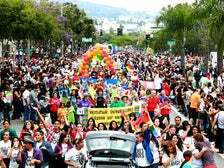 CSW produces the LA Pride Parade and Festival every June in West Hollywood. 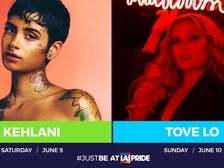 Once again, LA Pride expands beyond its traditional weekend of events, featuring official LA Pride community and partnered celebrations across the city. Read on for the guide to LA Pride 2018. Legendary Bingo at Hamburger Mary’s in West Hollywood is a whole different animal. Inappropriate behavior is not only encouraged—it’s demanded. 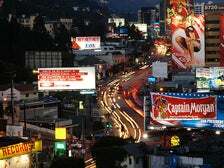 West Hollywood is the thumping heart of Southern California’s gay community. L.A.’s Gay Pride Parade and Festival takes place here each June, and half a million people gather for the annual Halloween Carnaval. The rest of the year, it’s busy day and night with cafés, gyms, restaurants, bars and dance clubs.